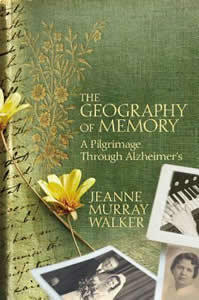 Award-winning poet Jeanne Murray Walker tells an extraordinarily wise, witty, and quietly wrenching tale of her mother's long passage into dementia. This powerful story explores parental love, profound grief, and the unexpected consolation of memory. Meika Loe - "Vital Aging Our Way"
Saratoga Vital Aging Network (SVAN) is sponsoring an event with Skidmore College on 4/28. The event features Meika Loe from Colgate University (her book is, Aging Our Way: Lessons for Living from 85 and Beyond) - she joins us to tell us more. The Friday before Mother’s Day in 2011, we had Dave Isay on to talk about the book, Mom: A Celebration of Mothers from StoryCorps. As many of you know, StoryCorps is an oral history project designed to document the fascinating lives or normal people. That Spring, Sarah LaDuke's Mom - Carolyn - turned 70 and retired, so she copied the StoryCorps model (they encourage everyone to do so) and we aired some of her recorded conversation with her mom. Since that conversation, Carolyn LaDuke has been through a lot. She survived a heart attack in October of 2011 and was diagnosed - for the second time - with breast cancer in late September of 2012. She has recently finished two extremely trying rounds of chemotherapy and should begin radiation soon. This Friday before Mother’s Day - today - we wanted to share a new interview with Sarah's Mom.